Not drinking water causes your body to retain water while drinking enough water (at least 1 liter a day) will flush out water weight bloat. Any fruit or vegetable that has a high water content will act as a natural diuretic. Natural diuretics ONLY help you lose excess water weight or false fat. Do not expect to contiually lose any more water weight each day or week with more natural diuretics in your diet. You can permanently keep natural diuretics in your diet as a way to prevent excess water weight gain. Please note: If you have heart or kidney disease or Hypertension then you'll need talk to your doctor first especially if you're already taking a prescribed diuretic. 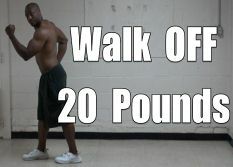 I have 30 days to loss 20+ lbs b/4 my vacation. I have a hard time eating the raw vegetables..carrots/celery. Can I put my two raw fruits and vetables in my blender and drink them? And what about honey, Okay to eat? It’s so much easier for me to do the same thing over and over then trying to change it up. Thanks for your awesome videos! Hi I'm 29 just had 4 kids back to back. My oldest is 5 youngest is 1. I'm 200 pounds and only 5 feet tall. How can I lose all this weight. Nothing I've tried has really helped. I'm a cook in a restaurant so I move around alot. I just want to feel healthier instead of just exhausted everyday. How long would it take to flush out the excess fluids if I drank 1 liter of water every day? Wait, so what if I'm not on a diet? I don't eat much, so the water will flush out in 1 day, right? I'm 32 weighing at 240 lbs and my height is 5.5 ft. Im watery overall and the worse part of me is my thick round waist line with a hanging water belly and fatty thighs. Next May, i have my wedding and i hope to be at 175 lbs and with no belly. My job is desk bound and I smoke. I tried exercising but after each session, due to the pain, I fail to continue. Maybe I'm doing wrong things..
Can you please help to advise for my weight and also a supplement to quickly recover from the pain to continue exercise the next day..
hey i had my kids back to back my original weight was 145 since i'm tall...now i gained way to much weight and want to lose all the excess weight and water weight i gained after the pregnancy i did had a c section which is hard for me to do sit ups everything else my weight now is 230 after i had my last child. so please any suggestions on how to lose weight or a good routine to have ???? Do not use celery! High in sodium and bloats! Don't have too much salt or sugar in your diet; eat plenty of antioxidant foods; like garlic, onions,beetroot, red grapes, berries(raspberries and blackberries)..(Cabbage and spinach and cauliflower also). Hi my name is Elizabeth and I'm 20 years old, I just had a baby five months ago and gained way too much weight during my pregnancy. I am 5' 3" and 140 pounds, I lost fifteen pounds in the last month from cutting calories to under 1000 and only drinking water. I have been doing as many sit ups as I can but I don't see much change and I've stopped losing weight since I hit 140. What can I do to get to a healhy weight of 110-125 soon? After my daughter past away i went into depression which cost me to weight now 162lbs. Before i had my newborn i weighted 130. My arms are big, my back has roll overs and now i have a double chin! i guess what im asking you is what can i do to get rid of it all? I need to loose about 20 lbs. I'm very top heavy. I can lose the weight in the lower part of my body just fine, but my stomach seems to stay bloated all the time. Can u help me. I really need help! I weigh approx 180 lbs and im 5'11", but my belly fat and thighs won't go down to size! I had an 11lb8oz baby boy in June of last year, and gained entirely too much weight. I'd like to get back down to 155lbs, where I was before I got pregnant. What would you suggest? Please help! omg I just found your site and I am so glad that I did! It is amazing. I just have a question because I just started a modeling a few months ago and my agency wants me to slim down. HOWEVER, I am black and I don’t actually have much fat on my body I have a very toned body and their main concern are my thighs. They aren’t HUGE, in fact they are very slim but they are still just a tiny bit muscular. There seems to be one thing most dieters miss, muscle weighs nearly 4 times the weight of fat. Standing on the scales is disheartening, because as you lose fat and gain muscle and you go up in weight before coming down. You're getting healthier but getting heavier to start with. I've gone from a BMI of 27 to 29, but my body fat has gone from 28% to 19% and I've lost nearly 4 inches / 10 cms around the waist. Even though I'm heavier I'm healthier. Get the tape measure out. Real healthy gains will show in the reduction in your waist and hips, this is what you're looking for. Another misconception is more time at the gym. Yes do cardio, it's good for your heart. Do muscle development too. Your best weight loss happens through active tissues burning energy, something your body does all day in your muscles. Good muscle grown with cardio and watching the calories will get you where you want to go long term and if you work at it good long term habits to keep you that way. I hope you can answer to me, I try to be positivo cause I never get replies! Well I have a Athletic body shape, Im 23, 5.3 height and 116 pounds! Im very short and even 1 extra pound is obvious on my petite frame. 3 years ago I lost 4 kilos by changing eating habits and mantain myself between 113-116 pounds. Im a ballerina and have to lose 10 pounds according to the standards of the company I want to enter in my country. Buuuut I freaking (sorry) can not lose those 10 pounds! I diet and exercise but nothing. I have 15 days doing HIIT and diet 1000~1200 cals a day and any pound has gone! Next audition will be for summer camp in 1 month and need help! Thank you! 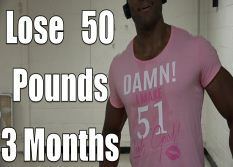 You need to eat a bit less calories and do cardio like running for 30 mins at least 3 times a week. Also do some resistance workouts preferably whole body workouts. And be careful what you eat. 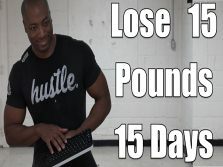 This worked for me I lost 30 pounds in less than 3 months doing this. Thank you for good info above. I am assuming these veggies do their best work when consumed raw. I wonder if diuretic capabilities are affected if juiced. I'd really appreciate your help. I started the gym and have been doing intervals, and cardio by following your plan. I sweat loads when I work out and have been eating 1600 cals a day. I've never exercised before and been eating way more than 1600 cals a day. However, I haven't lost any weight in 2 whole weeks :S even my body fat seems the same. Could it be water retention as somebody said when you start exercising your body retains water around your muscles and bones? I weigh 164 pounds and am 5'5 tall female. Hello It is Probably because you are eating a bunch stick to 1600 and it should work. if you are consuming too much then you are really just putting all the calories you just sweat out, back on. I'm a 43 yr old female, I work out daily 5am cardio and weights for like an hour. I take green bean coffee bean extract, drink black coffee before my workouts and I eat pretty healthy throughout the day along with juicing with kale and some fruits in my nutri-bullet. I weigh like 162 5'5 1/2 but I only wear size 7/8. I seem to gain and retain muscle. I want to get back down to my 155 weight and I am really struggling losing 2 or 3 pds. Can you please offer some suggestions. Thank you. Okay, I'm 13 years old and I weigh 166 lbs and I am 5'4 . All my friends at school have the perfect bodies that all guys love which makes me look like a huge walrus when I'm with them. My main problems are my arms, my flabby belly, and most of all my love handles . My goal is to lose 20-30 lbs before my graduation on may the 15th which is about 70 days fro now. I'm not sure if Ill reach my goal before then, but most of all I want to get rid of this overweight body and look good when I go swimming in June and I want to keep that healthy weight and maintain it forever. I've read on here to eat 5 meals every day but with my schedule I'm not sure i can. Because I have school. I'd really appreciate any plan you have that you think would help. Thank you so much. Meal 1: Having a big breakfast. Oatmeal with sliced banana, cereal, or two slices of two with peanut butter along with a side of fruit. If you want to work out why dont you get some Zumba videos to do at home. They're fun and you'll be dancing so it wont even feel like you're working out. good luck and congratulations on your graduation! I am 13 and weight 135 i desperately want to weigh atleast 110 i dont have a lot of time and need this weight gone for good? how do i do it? Please don't be too hard on yourself. The best way to lose weight fast is to cut back on carbs. Eat chicken or Turkey breast, eggs, protein shakes or bars. Write down everything you eat. Go for long fast walks every day. Drink lots of water. Don't stress about it...stress will cause you to gain weight. Meditate and picture yourself looking how you want to look when you reach your goal. Take vitamins and iron supplements. There are a lot of calories in fruit but you can eat all the green veggies you want...and carrots if you like them. I wish you the best..Don't do anything stupid like vomiting or taking laxatives. I know of several people who swear by products that contain capsaicin. Xenca sell a product called Chilli Slim, and evidence suggests that it really works.